What inner images do we have of places we’ve seen in films? How do these spaces linger in our minds? The corridor in The Shining, the curiosity shop in Fanny and Alexander, the sky scraper in Die Hard. 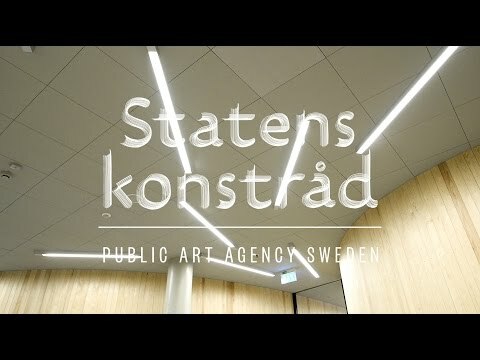 Several hundred people’s memories of rooms, places and buildings in movies underlie the artist Jonas Dahlberg’s new permanent work An Imagined City, produced by the Public Art Agency Sweden for the new KTH School of Architecture in Stockholm. No sign of Jonas Dahlberg’s work of art is visible in Tham Videgård’s new building. But on entering, we encounter invisible rooms of sound. A quiet voice, up close, describes a memory of a room from a movie. Jonas Dahlberg guides the visitor’s steps from a physical into an imaginary architecture, giving each viewer a personal experience and the possibility of seeing the rich store of spatial images that we all carry within ourselves. An Imagined City is a permanent installation at the new KTH School of Architecture, where the artist has created the work very specifically for the site and the activities there. Dahlberg gives students and teachers the opportunity for a short moment to exchange the physical architectural space for an architecture of imagination and memory. Concealed in the ceiling are twelve ultrasound speakers that direct the sound so that it can only be heard by those standing immediately beneath them. Nine voices relate more than five hundred memories collected by Dahlberg from hundreds of different people and edited by the author Astrid Trotzig. 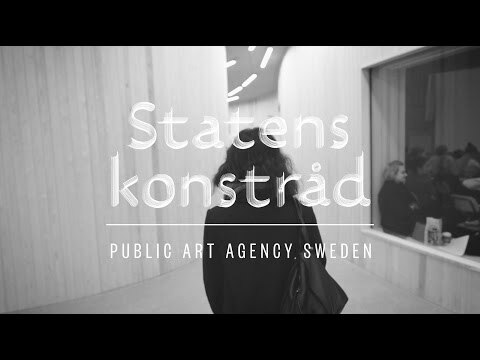 In recent years, the Public Art Agency Sweden has widened its concept of what constitutes public art. Dahlberg’s work is one example of how permanent art works can include all the forms of expression that artists use, including sound. Jonas Dahlberg was born in Uddevalla in 1970. He has recently worked on a large number of public commissions, including the winning draft proposal for the memorials of the terror attacks in Norway in 2011 and The Mirror at Tele2 Arena in Stockholm. Dahlberg has featured in numerous exhibitions, including Prospect II New Orleans Biennial (2011), the 50th Venice Biennale (2003), Manifesta 4 (2002), the 26th São Paulo Biennale, where he represented Sweden (2004). In autumn 2015, Dahlberg is featured at Galerie Nordenhake in the exhibition Diorama, where he has depicted our most common wild birds in a series of photographic works arranged in a diorama, and created the large-format video work Music Box, where the camera takes the viewer on a journey inside the miniature space – an enlarged microcosm. Jonas Dahlberg was one of the speakers at Creative Time Summit: Stockholm, organised by the Public Art Agency Sweden in association with New York-based Creative Time in November 2014. Here is his full presentation, in which he talks about his work on the memorial over the terror attack in Utøya.